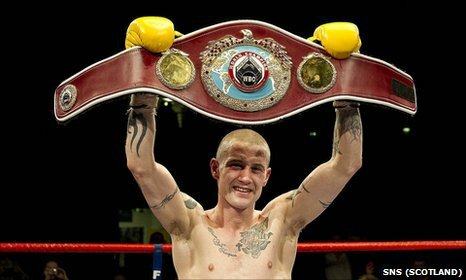 Ricky Burns will be “looking forward” to fighting on home soil when he takes on Paulus Moses on March 10. The Scotsmen will defend his WBO interim lightweight title for the first time when he takes on Moses, who has lost just once in 29 fights, at the Braehead Arena in Glasgow. Burns will be glad to be back on home soil, with his last two fights taking place outside Scotland. Don’t let the fact you’ve probably never heard of Paulus Moses mislead you, this has the potential to be a very tough fight for Burns. Moses, nicknamed ‘The Hitman’, is a former WBA lightweight champion and has won 19 fights via knockout, with his only loss coming against Miguel Acosta. It’s a good test for Burns. 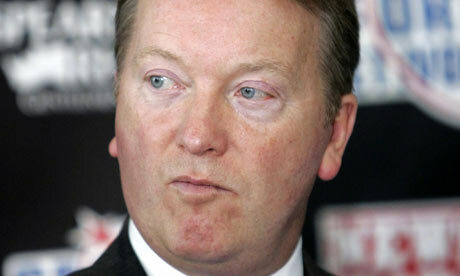 There were talks with Hatton Promotions about a potential domestic dust up with Anthony Crolla but promoter Frank Warren was unable to reach an agreement on finances. But Burns shouldn’t look past Moses though, who’s proven at this level and he can bang as well. I’m expecting Burns will want to put on a bit of a show and possibly make a statement by knocking Moses out but he’ll have to be aware of Moses’ power. He’ll need that same mentality he took into his last fight against Michael Katsidis. If Burns wins here, and impressively, it could set him up for another world title shot. But before Burns takes a run at one of the world champions, I’d like to see him fight Kevin Mitchell. An on-song Kevin Mitchell is a match for anyone at lightweight (I don’t consider Juan Manuel Marquez a lightweight anymore before anyone suggests him). A fight between Burns and Mitchell has all the ingredients to make a fantastic domestic scrap. 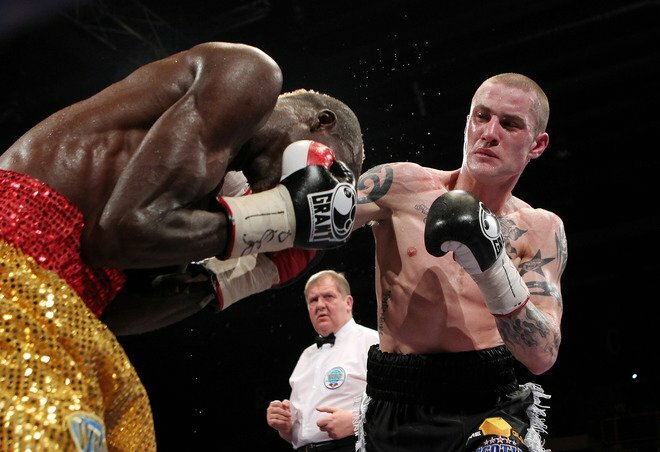 Ricky Burns proved he can handle the pressure following his technical stoppage of Joseph Laryea on Saturday to retain his WBO super-featherweight title. Burns, who had been ill all week and has had to deal with some in-camp disputes, handled the pressure like a true champion to come out on top against the lanky Laryea. It was hard for Burns to establish any sort of jab, especially early on as Laryea looked to land his big sweeping shots from these unorthodox angles. Burns, to me and the judges, won the first three rounds, working the body brilliantly. However Burns had to show the heart of a champion in the fourth, as Laryea penned back the champion using his jab to good effect. But it wasn’t long before the Scotsmen began to show his true class, upping his work-rate and landing his combinations at will, with the best combination coming when the champ landed a crushing left hook to the body followed by one to the head. However the fight ended in disappointing fashion as Laryea did not answer the bell for the start of the eighth, citing an apparent hand injury – not too sure how he managed to achieve that. What was even more disappointing, to me as a fight fan at least, was the fact Laryea didn’t seem too disappointed by this. But now Burns can look forward to bigger and better challenges with a potential unification fight with Mzonke Fana on the cards. If Burns continues with this form, he will have to deal with much bigger pressures than going down as Scotland’s greatest ever boxer to deal with. His trainer believes he can and so does the entire country of Scotland. I, for one, am not entirely sure yet whether he can. He’s proved his mental toughness but now he’ll have to prove he has genuine world-class boxing ability, so pay close attention to Ricky Burns to see if he has what it takes. 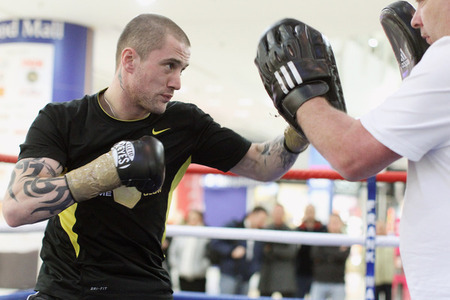 Click here to see what Ricky Burns had to say following his win. Burns v Laryea: Can Burns handle the pressure? Burns: Can he handle the pressure? Ricky Burns heads into tomorrow night’s defence of his WBO super-featherweight title against the backdrop of dressing room unrest. Burns, who defends his title for a second time against Joseph Laryea, is having to deal with a squabble between his trainer, Billy Nelson, and manager, Alex Morrison. Earlier this week trainer Nelson suggested that Burns is not far from going down as the greatest Scottish boxer in history. Now Burns merely shrugged off this suggestion and treated it as a joke, but his manager took a different view. Morrison released a statement which distanced himself from the comments made by Billy Nelson, which has resulted in a mini-row in the Burns camp, which is certainly not ideal preparation. Now, personally, I don’t see what the fuss is all about. His trainer is giving his honest opinion of how far he believes his fighter can go and if anything it is a nice little confidence boost ahead an important fight. I can understand it might put a bit of pressure on Burns, but if he, and his team (including Morrison), are serious about going on to bigger and better things; then he has to deal with this pressure. If he can’t then I’m afraid his stint at the top won’t last much longer. Yet putting that to one side, Burns will be facing an opponent who is an inch taller and has won 14 of his 18 fights with 11 coming via KO. Burns will have to be at his best to defeat the tough Ghanian who caused a shock of his own when he beat Paul Appelby via a split decision. So if the humble and modest Scotsmen is serious about being one of the very best and wants that unification bout with Mzonke Fana, he’ll have to use all his class to dispose of the Laryea. Take him too lightly and Burns could end up like Appelby, but if Burns is focused and handles the pressure, I can see an easy nights work for the champ who should get him out of there within seven rounds. Don’t forget to tune into Sky Sports 1 at 8pm to see how Burns gets on and also see James DeGale in action for the first time in 2011.